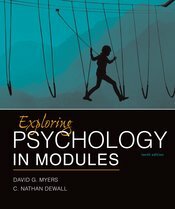 Now you can sample for yourself both the uniformly high quality of our introductory psychology textbooks and the singular flavor of each one. We've made available each book's version of one of the most commonly taught chapters in the course: memory. Review any or all of these chapters, and you’ll see each textbook is, in its own way, unforgettable.